dsPIC30F Motor Control 16-bit Digital Signal Controller. Seamless migration options from this device to dsPIC33F and PIC24 devices in similar packages. The PICDEM MC LV Development Board provides a cost-effective method of evaluating and developing sensored or sensorless brushless DC (BLDC) motor control applications. 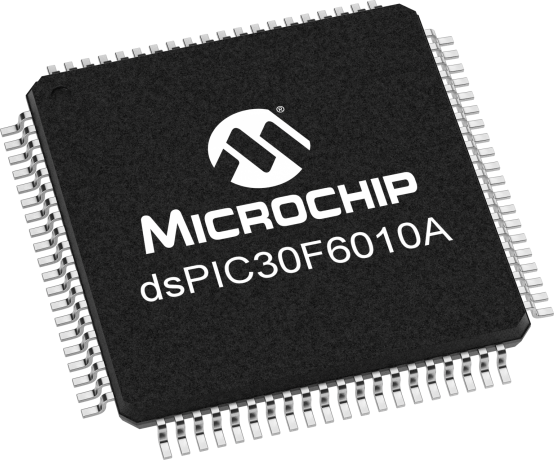 The board supports Microchip’s 28-pin, PIC18F microcontrollers and dsPIC30F Digital Signal Controllers. The board is capable of controlling motors rated up to 48V and 2.2 Amps.